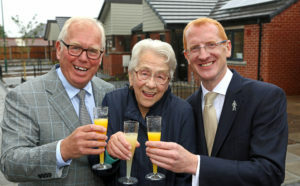 Nottingham City Homes’ first ever Ultra Site homes recognise the achievements of lifelong St Ann’s resident, Thomas Taylor. The Nottingham City Homes (NCH) and Nottingham City Council (NCC) development is the only social housing UltraSite scheme across the country, named by the Considerate Constructors Scheme (CCS). When completed, it will include 33 houses and six bungalows and is being built on the former Morley School site on the Wells Road in St Ann’s. An Ultra Site is a status given to a construction site, which is expected to go well above and beyond the basic expectations of the Considerate Constructors Scheme. This means the project team will do even more to engage the local community, offer employment, training and work experience opportunities to local people, as well as providing exceptional facilities and support to the workforce on site. The six bungalows, situated on a cul-de-sac on the frontage of the St Ann’s development, are now complete. They have been named Taylor Gardens after local community champion, Thomas Taylor, who passed away in 2004. Mr Taylor lived in St Ann’s for most of his life and his wife, Christine Taylor, still lives there today, just around the corner from the development. Both Mr and Mrs Taylor have many connections with the area. The development is being built on the former site of Morley School where Christine worked for many years. Thomas was the caretaker for the community centre, based adjacent to the site on the Wells Road. He did this throughout his working life as a bookbinder and guillotine cutter until he retired, which meant he was able to put more of his time in to his role at the community centre. Christine and daughter Joanne, are still very much involved with the running of the centre. Christine was thrilled when she heard part of the development would be named after her late husband. She said: “Thomas would have been very pleased, and humbled to have a road named after him, and Taylor Gardens will be a lovely reminder to us of all of his hard work and involvement. On Thursday 29 June, Chief Executive of the CCS Ed Hardy will visit the site to find out the progress being made on the CCS’ first social housing Ultra Site. He will meet the project team, local councillors and representatives of NCH, to discuss the impact such a development can have on the local community. A CCS registered UltraSite, operating with registered trade contractors and suppliers, can take considerate construction to an even higher level when it comes to caring for the community, the workforce and the environment. CCS Chief Executive Edward Hardy said: “NCH and Robert Woodhead Ltd have achieved the hugely prestigious Ultra Site status for the Morley development by taking considerate construction to the highest level, spearheading increased collaboration and raising industry standards within the project’s supply chain. 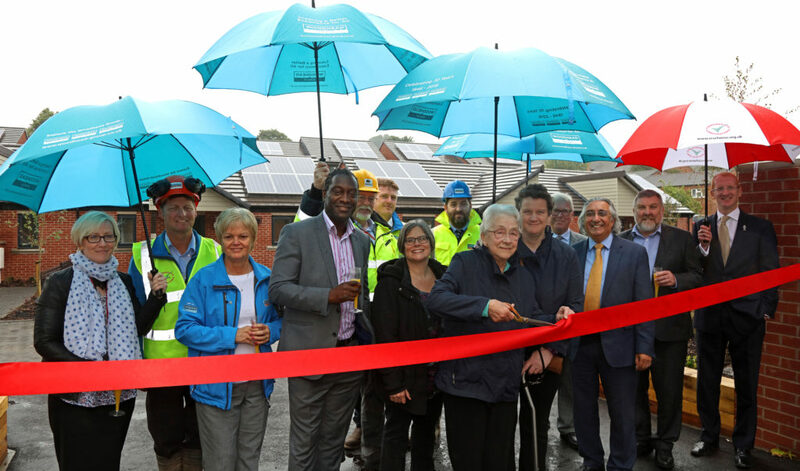 Nick Murphy, Chief Executive for Nottingham City Homes, said: “The new homes at Taylor Gardens are the latest to be completed in our Building a Better Nottingham programme, and provide much needed affordable housing for Nottingham people. Derek McGrath, Director for Robert Woodhead Ltd, said: “The environment, local community and the workforce are of upmost importance to us, and we are pleased to have been awarded an UltraSite status for the Morley site. 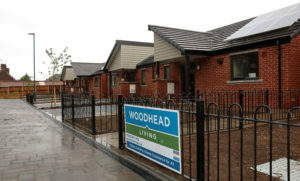 As part of NCH and NCC’s commitment to the local community, the project team is now working alongside Woodhead Living to give even more back. Thanks to funding from local ward councillors, NCH and NCC, the community centre next door to the site will be receiving a much needed renovation. The plans haven’t been finalised yet, but more details will emerge in the coming weeks. The 33 homes which sit behind the bungalows are due to be completed by the end of this year. Councillor Jane Urquhart, Portfolio Holder for Planning, Housing and Heritage at Nottingham City Council, said: “Our Build a Better Nottingham programme is transforming Nottingham’s neighbourhoods, by removing properties and regenerating sites which are no longer fit for purpose and replacing them with new, sustainable homes and creating communities where people want to live and work.